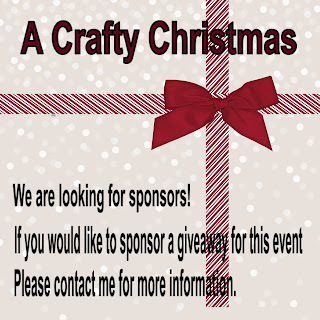 We are looking for sponsors to include in our "A Crafty Christmas Giveaway". The giveaway contest will start on December 1st and end December 10th. The types of prizes we are looking for are hand made gifts, craft kits, crafting supplies and anything to do with crafting. This is a great way to promote your Etsy store or crafting business. For more information select the button below.